Until recently, the model of what constitutes a companion diagnostic (CDx) for a drug was straightforward: It identified a biomarker that indicated an approved drug was indicated for a specific patient’s treatment. One test; one drug. It seems almost too elegant in its simplicity. And often, it is. For patients with many forms of cancer, collecting an adequate quantity of tumor tissue for the test is often problematic, if not impossible, and in cases where a tissue samples is collected, a treating oncologist often needs to make an educated guess on which specific type of cancer to test for with a CDx. If the doctor’s educated guess for a patient is wrong the first time, then it’s back to another test if there is enough remaining tumor tissue. That’s a big if. Today, as next-generation sequencing makes significant inroads for cancer diagnostics, the road map is changing. Multi-marker, pan-cancer CDxes leveraging the latest sequencing technologies are poised to significantly alter the landscape of one test for one drug, to one that allows for a single test to point toward many approved drugs. Further, as significant effort and capital is expended to find the latest immunotherapies and combination therapies for cancer, the biomarker landscape is also changing. Where once pharma companies and their diagnostic partners searched for evidence of specific genetic variations, today their attention has turned to a new class of biomarkers and potential biomarkers such as PD-1, PD-L1, tumor mutational burden (TMB), and microsatellite instability (MSI) as researchers look to identify responders from non-responders of these new classes of very promising drugs. It’s not a stretch to say in the very early days of bringing immuno-oncology treatments to market, PD-1 and PD-L1 were the darlings of the dance. Overexpressed on tumor cells, PD-L1 binds to the PD-1 receptors on activated T cells, a clever biological trick that inhibits cytotoxic cells and with it, immune response. 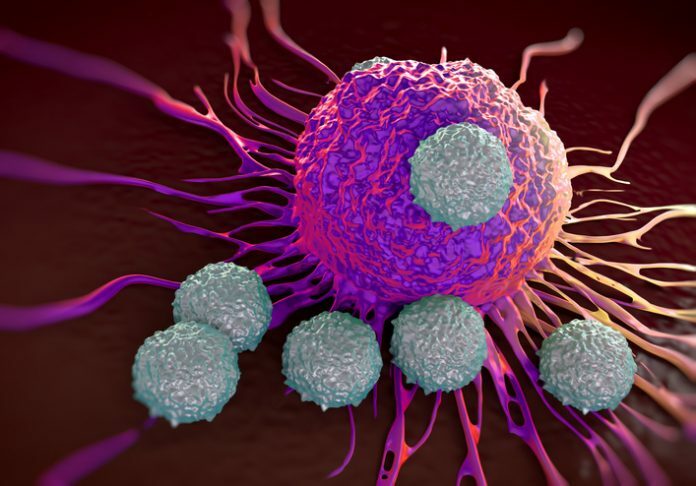 As an immuno-oncology target, anti-PD-1 drugs have enjoyed significant success as evidenced by Bristol Myers Squibb’s approved drug nivolumab (Opdivo) and pembrolizumba (Keytruda) from Merck. Both drugs have added multiple FDA approvals for additional indications since first coming on the market for the treatment of metastatic melanoma, and advanced melanoma respectively. Both the complementary diagnostics for nivolumab and the companion diagnostic for pembrolizumab followed a tried and true path for their pre-market approval. While diagnostics based on these biomarkers continued to be employed and have even expanded their use for other indications (just before Clinical OMICs when to press, Agilent’s Dako PD-L1 IHC 22C3 pharmDx CDx for Keytruda received FDA approval for cervical cancer), over time PD-1 And PD-L1 have lost some of their luster. One one hand, as researchers have delved deeper into biological mechanisms of the immune response to cancer, they have discovered other biomarkers that may more precisely predict response, such as tumor mutational burden (TMB) and microsatellite instability (MSI). On the other hand, the testing methods and the related requirements for tissue needed for the tests may ultimately see their use limited. In Parker’s opinion, scientists and clinicians may ultimately want more definitive answers. “The initial PD-1 an PD-L1 measurements are being made with immunohistochemistry, and generically immunohistochemistry is not a really great test,” Parker notes. “It is cumbersome to do, you need to have tissue samples, and it’s inherently a subjective measurement. As the imperfections of PD-1 and PD-L1 have come to light and pharmaceutical companies and diagnostic makers look for potentially more precise biomarkers of I-O response or non-response, the road has led back to the tumor DNA to search for evidence of TMB and MSI. In the case of TMB—a quantitative measure of the total number of mutations present per coding area of a tumor genome—there is growing evidence of its promise for companion diagnostics. Leading the pack is Bristol-Myers Squibb’s Phase 3 CheckMate -227 study of the combination therapy using two I-O agents, nivolumab and ipilimumab in advanced non-small cell lung cancer (NSCLC). In February, it released data that the study had met its primary endpoint of progression-free survival (PFS) of NSCLC patients whose tumor had high TMB regardless of PD-L1 expression. As Melanie Nallicheri, chief business officer of Foundation Medicine sees it, results such as those from CheckMate -227 point to TMB and MSI as important markers of I-O therapy response and also a path forward for the company’s FDA-approved FoundationOne CDx, a sequencing-based pan-cancer diagnostic that was used to measure TMB in the trial. In the case of MSI, the biomarker has a longer track record than TMB, as it has been employed by pharmaceutical researchers as far back as the 1990s when mismatch repair was discovered as one of the major genetic abnormalities present in hereditary nonpolyposis colorectal cancer (HNPCC) or Lynch syndrome. An indication of abnormal DNA repair in the mismatch repair pathway, the abnormal DNA that occurs from defective mismatch repair results in an immune response in tumors. MSI identifies this activity and patients characterized as MSI high typically won’t respond to anti-PD-L1 checkpoint blockade therapies. For MSI research, Promega has provided the go-to PCR-based assay for much of the industry for years, but as the focus turns to the clinic for MSI, that platform of choice is migrating to panel-based, next-gen sequencing tests. Which is exactly the approach Foundation Medicine is taking with their CDx. It’s test not only queries more than 320 genes at one time, but can also simultaneously look for MSI and TMB. MSI, while more prevalent in Lynch syndrome or endometrial cancers, is much less common in others so being able to piggyback testing is both more time efficient and helps address the issue of depleting tumor tissue samples with multiple rounds of testing. While neither MSI or TMB are incorporated in an existing companion diagnostic today, that future doesn’t seem very far off. In late, May Merck tapped Foundation Medicine for the development of an MSI companion diagnostic for Keytruda. This would portend a greater role for next-generation sequencing tests and possibly even a move away from immunoassays and PCR for I-O diagnostics. The road ahead will likely bring other biomarkers to light, including additional protein biomarkers. According to Riley Ennis, chief operating officer for AI-driven diagnostics company Freenome, this approach would consider a broad range of analytes along with phenotypic information about patients that could paint a picture detailing a disease signature. “I think there are other analytes in circulation and others ways of sequencing and applying machine learning to the problem to generate the data, but also to build a classifier for response prediction,” Ennis says. In addition, the company has begun working with companies that already have significant internal data and research on TMB and MSI, and are then looking to move one dimension beyond this information. A new CDx collaboration with Qiagen, announced in June, is an endorsement of the company’s approach. And while not necessarily a mad scramble, Parker thinks the current market environment will spur the discovery of even more relevant biomarkers. “The competition in the I-O space is so intense I would predict you are going to see every single player, both for mono therapy and combination therapy, eager to test every single biomarker advance that is offered by the diagnostic industry in the search for competitive advantage in the marketplace,” Parker concludes.